Hi everyone! 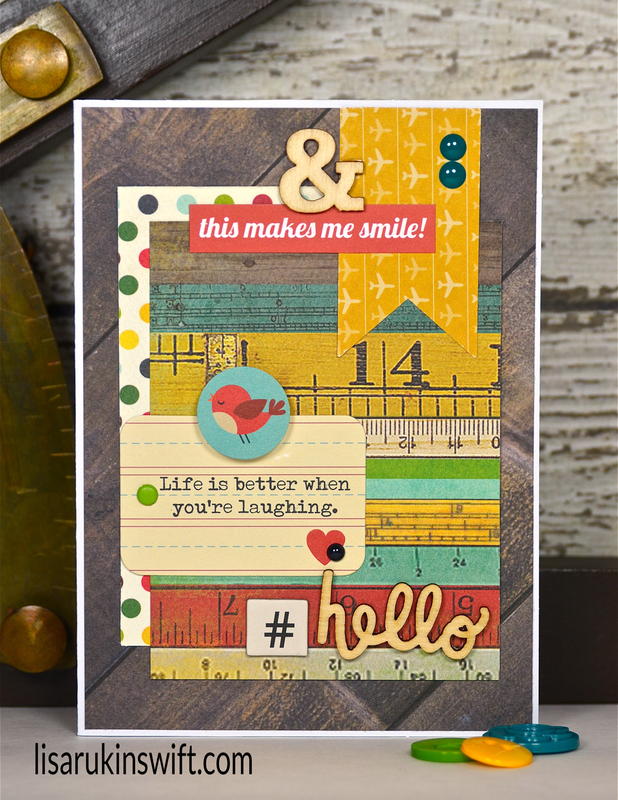 Today I have another card to share with you, created with 3x4 cards and other elements from the Paper Issues December Swag Bag. I loved the Jillibean Soup quote card so much, I ordered two packs (different themes). One thing I love about Swag Bags is you can try a little bit of this and a little bit of that. If you end up loving something, you can order more (and you can order it for 20% off if you use the code LISA20). Thank you for visiting this week. I'll be back next week with new projects to share. Enjoy the rest of your week! Another fabulous card! I pinned this one! Gorgeous! LOVING the wood grain and the ruler paper!!!! ONe more awesome card. Love it. Good use of the 3x4 card. Such a cheerful card and beautifully presented. This is so cute, Lisa! Perfect sentiment for the card because I did, in fact, smile when I saw it! Great card Lisa! Love the wood veneers!! Such a sweet card, Lisa, love the rustic feel of it! Wow - you make really great things with the use of your Swag Bags - so very impressed and love those wood veneers and how they add to the feel of this card!!! Your sentiment about life being better when you are laughing is true!! Better to laugh and smile than to frown!! Thanks for bringing a smile to my face with this card!! !